Young people are more likely to suffer occupational injuries compared with older workers, and there is a need to better prepare them for the hazards they will face at work, Second Minister for Manpower Josephine Teo said yesterday. They can go on to play key roles in raising awareness of safety and health at the workplace after being educated on the issue, she added at the inaugural international youth congress at the 21st World Congress on Safety and Health at Work. Data from the International Labour Organisation shows that workers aged 15 to 24 are 40 per cent more likely to get injured at work compared with their older counterparts, said Mrs Teo. One reason is that manyare temporary or part-time workers or apprentices, and often lack workplace experience. Health and safety concerns are also usually far from their minds, she told the 120 young people and other delegates at the Sands Expo and Convention Centre. Mrs Teo noted the case of a 22-year-old worker in Singapore who accidentally injected fish vaccine into her palm on her second day of work. She reported this to a supervisor hours later, and was told to monitor her condition. But it became a bacterial skin infection and she had to be hospitalised twice. The Manpower Ministry later found that the firm had not briefed workers on safety on their first day of work, and did not have risk assessments or safe work procedures. You can do your part by practising good safety and health behaviours. Share your knowledge with those around you and speak up if you see poor practices at workplaces and even in school laboratories. MRS JOSEPHINE TEO, urging the first batch of workplace safety and health youth champions to spread the safety message. Mrs Teo said efforts are under way to promote a strong culture of safety among students so it “becomes ingrained”. For example, the Institute of Technical Education (ITE) has incorporated 12 workplace safety and health (WSH) courses into its curriculum. The WSH Council developed an interactive online learning tool for children aged eight to 14 to learn about basic safety and health. More will be done for the 400,000 or so primary and secondary school students in the next three years, through animation and videos produced by the council, she added. About 40 young people are in the pioneer batch of newly appointed Singapore WSH Youth Champions. They will be trained in safety and health concepts, which they can impart to their peers at roadshows and seminars, for instance. Mrs Teo urged them: “You can do your part by practising good safety and health behaviours. Share your knowledge with those around you and speak up if you see poor practices at workplaces and even in school laboratories”. 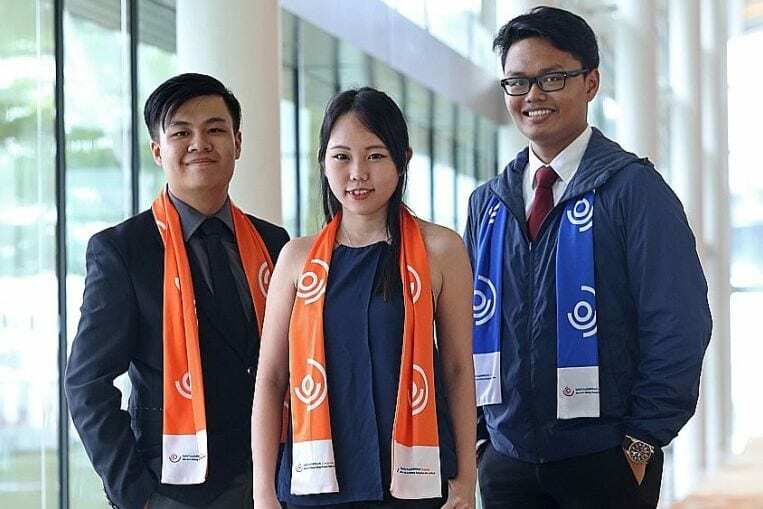 One of the youth champions, Ms Rebekah Peh, 24, an automotive diploma student at ITE College West, hopes more students can learn about safety issues. “For technical courses like mine we do learn about them, but other courses may not include them,” she said.